Hound, the personal assistant app that launched last June out of music search service SoundHound, has moved out of its beta phase and is available to all on Google Play. I don’t know that the beta was all that difficult to be a part of it, seeing as the app has over 100K downloads on Google Play, but it’s now really easy to get into. What is Hound and what does it do? It’s a bit like Google Now and Google’s voice actions, only in a stand-alone app. 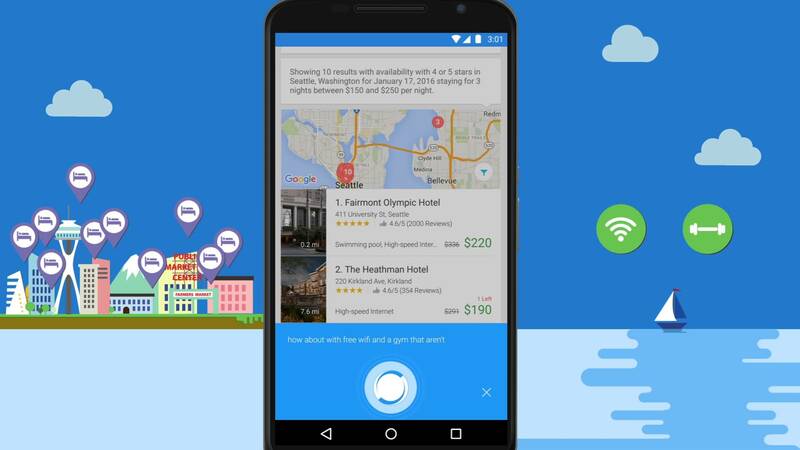 Like with Google, Hound lets you ask it questions, then follow up those questions to dive deeper into subjects as if you were speaking to it naturally. You can have Hound find you hotels and restaurants and check the stock market and search for music or play interactive games. You can also find out the weather and what the day looks like tomorrow, harness the power of Yelp, pull up navigation and directions, book through Uber, make phone calls and send text messages, and use a calculator, all with your voice. It’s a lot like your typical personal assistant type of app, but it’s pretty fast and has a clean UI. Launching with “OK, Hound” also works well. Hound is free to use, so if you were looking for a stand-alone assistant type of app, now is your chance to give it a look.